Over the past 47 years I have been privileged to participate in the practical areas of business leadership/management; and over the last 5 years I have been more involved as a connector between academia and business. The latter has allowed me to interact with businesses and entrepreneurs on a much wider scale than before when I may have been seen as a competitor. In the intervening decades we have looked at Employees’ Share Options (ESOP); equating Corporate and Personal Tax Rates; elimination of double taxation (and reneging on same); Electoral Advisory Committee; FINSAC; EPOC; EGC; Integrity Commission; several commissions of inquiry; Growth Council; and the list goes on. The results have had little or no effect that can be registered by growth in productivity, base production, increased exports, balance of payments, or social growth and equity. Simply put, our people in general are no better off; the poor are worse off; the pie for the rich is rapidly diminishing. This is not a description of a better direction. This is a direction to a path that ends in a plunge off a cliff. I have been paying attention to the root causes of our business and government challenges, and have listed them by frequency, and will share them with you for your consideration, comment, and action. 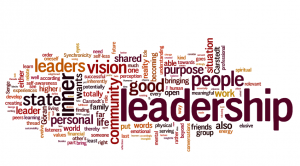 Leadership in this context means the ability to inspire others to adopt a purpose that requires others to perform in a coordinated and efficient manner. It also suggests that persons (although assigned functions) will understand their functions and take personal responsibility to fulfill exacting requirements. This is the first element that seems to elude us in the 21st Century. We focus on the “I”, while the collective “We” is subjugated in the very selfish modern corporate environment that follows a largely American model where the top takes all. This is hard to foist on the Jamaican worker who has had a historical aversion to inequality. In difficult economic times the flames that fan insurrection are at a much higher temperature. Already we have been seeing bauxite workers, sugar farmers, and coffee farmers raising their voices against inequitable treatment, whether perceived or real. The currently ill-equipped leaders tend to “grab and go” in a few years with bonus payments that are often out of proportion to length of service or real performance. Many flit around other employment options but are soon found out as the new environment shows up their lack of leadership. We could have avoided them if only we looked at their participation in non-academic activities in high school. Similarly, in the Government sector, few are there to guide potential CEOs along a personal growth path as that is not a great strength of a Civil Service, so all they learn are some rigid rules and laws that have no relevance to modern governance, leadership, and motivation. So we retain the prior practices of our former colonial masters, and make no attempt to change a peaceful life of obstruction. So they wait (not push) on the political directorate who are not motivated (unless by the IMF) to change. “Yes, Minister” becomes our strategic model. Systems and procedures, if well designed and understood, are essential tools for efficiency. However the way some of these are designed do not fit local regulations and have to be modified. A lack of understanding of enterprise systems programming (as opposed to simple Apps) often produces undesired or uncomfortable new work sequences that challenge the hegemony of previous systems. The answer is widespread resistance and outright sabotage. It is where the human interface is challenged. This is particularly virulent where the old systems allow corruption to be easy, and the new system has control mechanisms that hinder, disclose irregularities, or preclude such actions. The fact that digitisation is low (particularly in intra-governmental communications) encourages errors as paper-based documents are frequently lost. This is a major concern for people who require access to multiple agencies for compliance, or to receive simple entitlements such as government pensions, or NIS benefits. The concepts, knowledge, and operation in the global environment : one of the major elements that can influence our growth at the macroeconomic, and firm level, has diminished in a dramatic way. Travel today is single purpose rather than being exploratory. What could I possibly mean as today we are like Oliver Samuels: “Mi travel regular, and Look pon me aise muffins” but it is not about learning. New York (meaning Brooklyn or Bronx), is 2 weeks in your relatives’ apartment eating chips, and watching TV on the couch, while they work two or three jobs is the reality. No museums, plays, tours, or even the zoo for you, in fact we learn no more than we left with (with the possible exception of a twang). Miami is for shopping, and hardly anyone goes to places that may lead to new experiences. Toronto is just to see a few relatives as distances are far, shopping is not attractively priced, and family only comes around to collect the 6 bottles of white rum, and some escoveitched fish that you brought. The point is that the experiential travel has changed, and when coupled with the proud pronouncement the “I never did history or geography in school” and is seen as being of little relevance, leaves us with a very limited vision of our own place in life. We are satisfied to attend the “kings and queens of the dancehall” in Cross Roads as we can’t go to Tivoli or Tower Hill, Dunkirk, Seaview, and our potential access shrinks and so does our potential earnings. This affects our business persons, and with our space diminishing so rapidly, we behave like rats trapped in an ever-decreasing space, until we devour one another. The business leaders take on the role of being a despot “my way or the highway”. Their attitude to those who they should motivate becomes the face of the black colonial master, and many try to reintroduce brutality, rather than reward excellence in a wide open marketplace. They are either stupid or unaware of the opportunities, as they didn’t do history to understand slavery’s impact on the enslaved. The manager is the recent appointment to the Great House abandoned by the former occupants. This even impacts our choices in food in large part due to our indoctrination. Every menu order is about chicken for breakfast, lunch and dinner, with imported rice or “food”. We don’t taste new things, visit new places, are comfortable having no street address, and the list goes on. We would not have gone on the Empire Windrush as the ship probably had a menu that varied and “mi nah eat dem tings”. We are uncomfortable accommodating people with differing religious beliefs such as other Christians (Saturday vs Sunday worshippers), Hindu, Moslem, Baha’is and others, thus we see no opportunities in Trinidad, Guyana, or Suriname. Places for growth are eliminated due to narrowmindedness. We are becoming our own worst enemies. At a time when opportunities abound in expanding our minds and revenues beyond Jamaica’s shores, we (like the crab) are withdrawing into our shells, safe from human interaction, and living vicariously on social media. The previous brief observations and the needs of the government and private sector often expressed in the media and privately lead me to observe that the major problems outlined are seriously misrepresented. Most boil down to poor leadership, a lack of proper systems that inform and guide consistency, and unimaginative and antiquated methods of rewarding workers that really should go beyond wages. This is a synopsis of some easily solvable problems, if we could only see them in their fundamental concept and reframe them as such, rather than expressing them in the trite and outdated traditional areas of lack of access to financing, or the difficulties of compliance with standards. Let us move towards basics and build from there.